Here’s the latest update with a focus on UI. 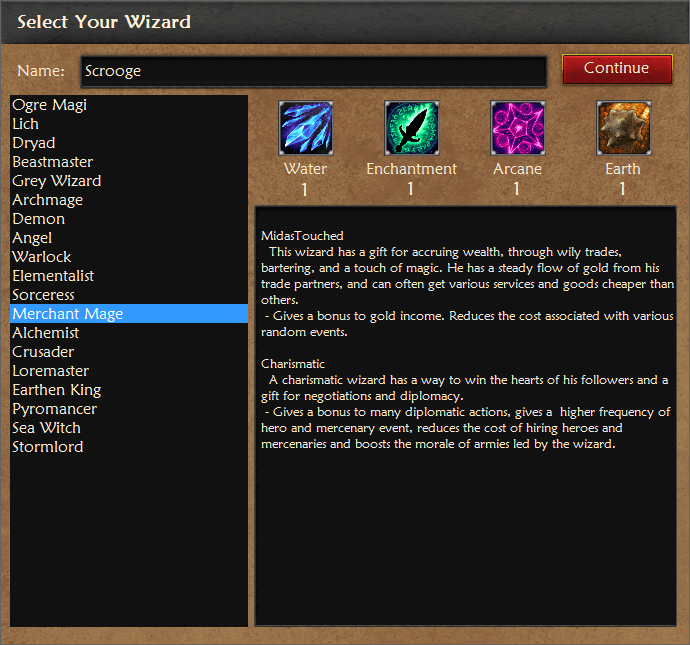 I have added some more graphics to the wizard selection dialog as well as skinned the spellbook. The UI also had some general optimizations. There’s also a lot of behind the scenes mechanics work that I have been doing to streamline the systems for modifiers – stuff like bonuses to gold income, reduction of upkeep costs, global percentage modifiers to research, so that they are stack and interact correctly. The framework must be generic and robust in order to support moddability and expansion of systems down the line. The generators for place names have also been improved. There should be more towns and provinces with proper toponyms related to the culture of the beings inhabiting them. 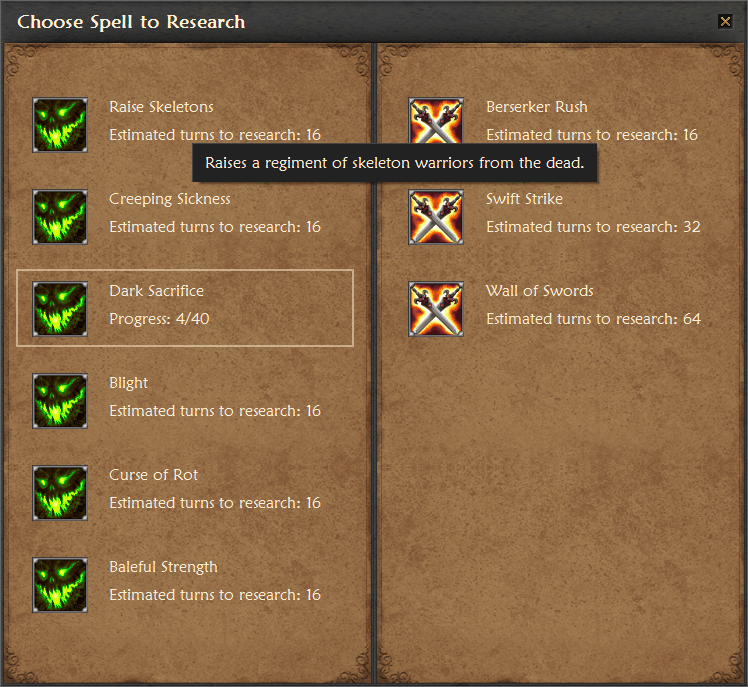 Finally, wizard towers can now be expanded with guest chambers, the first upgrade related to diplomacy. It gives a bit of influence every turn – and will be required for some events, that should be coming soon-ish (visiting dignitaries, merchants, etc.). Some of the graphics I have added were provided under the Creative Commons license, others were purchased in the Unity asset store. The credits are in the release notes, but I have added them here as well. I hope any developers reading this will check out the websites of talented artists behind the art.